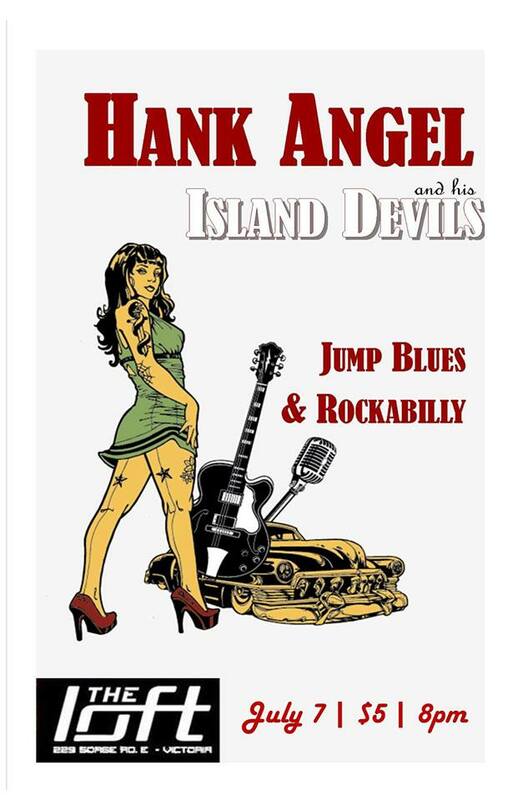 Hank Angel has been recording and performing for over 30 years. 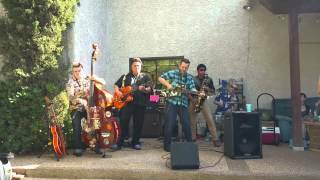 His latest releases are a rockabilly / jump blues album – ALL HOPPED UP! – and a high-speed, high-energy collection of traditional and original Gospel-billy songs – SINNER YOU BETTER GET READY!!! Born in Indiana, Hank started out as a busker on the streets of Edmonton and played bass guitar in a bunch of bands, releasing CDs, touring the country, performing live on nation-wide MuchMusic TV and eventually getting signed to Attic Records in Toronto. Hank fronted the skiffle-billy combo – The Silver Bishops (with Jon Card of D.O.A./ SNFU and Dove Brown of Jr. Gone Wild) and sang with his hillbilly band – The Hoosier Daddies – in the clubs on Queen Street in Toronto (including The Cadillac Lounge and The Horseshoe Tavern, where he opened for Robert Gordon and Los Straightjackets) before performing at the world’s largest Rockabilly Festival – The Viva Las Vegas Rockabilly Weekender. Hank’s other releases include a 4 song, vinyl, 7 inch 45 rpm record called ‘Crazy Night‘ and his first full-length album – LOUD FAST & OUT OF CONTROL!! !